The DA Club was a great music venue located @ 3-5 Clarendon Market, Dublin (just off Grafton St.) behind Peters Pub. It played host to many an up and coming songwriter night and even some more established homegrown talent like JackL and The Pale. Sadly, it closed down as a music venue after a few years and now showcases talent of a different variety. 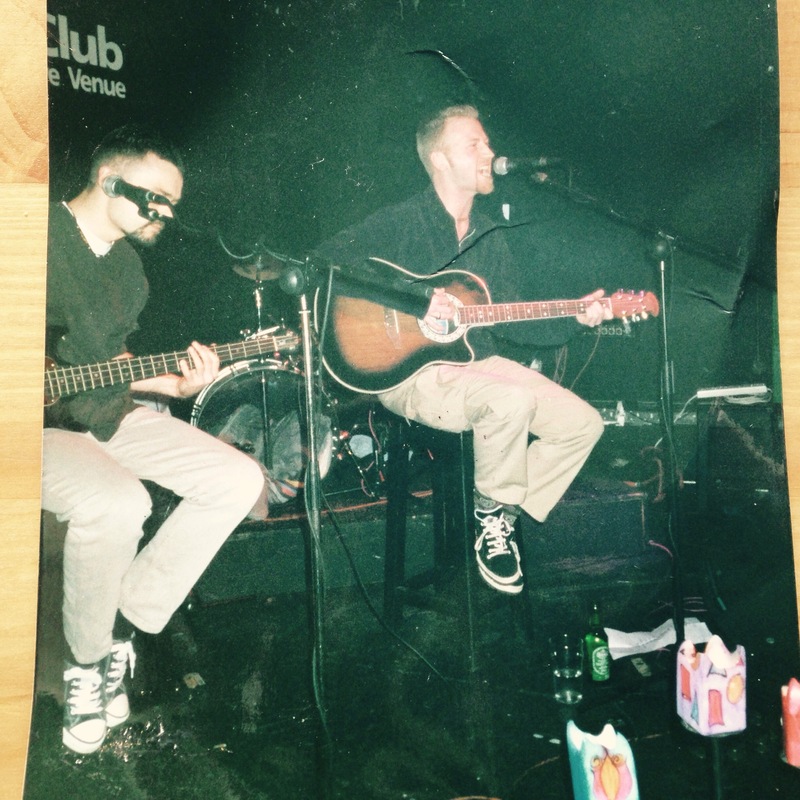 I found this print in the boot of the car this morning of yours truly playing an acoustic set from 19 March 1998 supported by cousin Gwyn on bass. Let’s not mention the beard (Bloody hell, what was I thinking?) as for the beige combats.. somebody call Fashion Police. Back then, we played a series of acoustic sets (mostly original songs, with the odd cover version of The Smiths, Chilli Peppers, thrown in) along with radio show appearances on 2FM our national radio station. Aah it was a great venue, upstairs above a bar with cinema style seating enough to hold 80-100 people. Most nights you were lucky if half that turned up and if you made enough on the door to pay the engineer and venue, you felt really lucky. Dublin needs more tiny music venues like the DA Club where musicians starting out can get a chance to play. If you have any memories of The DA..please share.